Injured in a Uber and Lyft Accidents in Kansas City? Here is what you need to know. If you were injured in a car accident involving an Uber or Lyft vehicle, you may be confused about who should be held accountable and what insurance may be available to cover your damages. You must know that you do not have to deal with these legal issues alone. Our Kansas City car accident lawyer and legal team is experienced in handling all sorts of car accident and personal injury claims. You can speak with our Kansas City car accident lawyer today to understand your legal options. Were You an Uber Passenger? 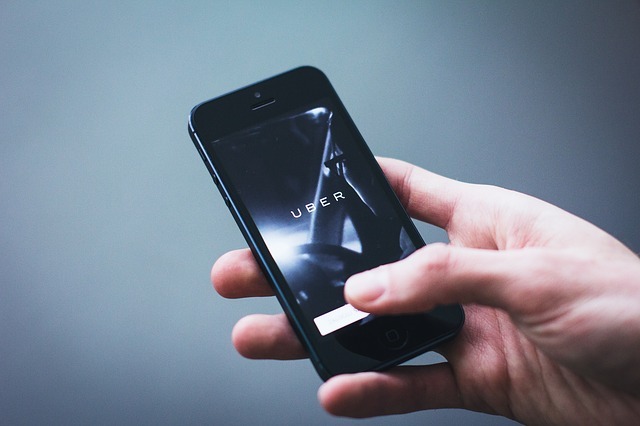 If you were injured while riding as an Uber passenger, you should know that Uber typically insures its drivers with $1 million in liability, uninsured, and underinsured coverage. As a result, there should be at least $1 million in available insurance coverage for injuries and other losses caused by the accident, regardless of whether the Uber driver or another driver was at fault. This can be beneficial if an uninsured or underinsured motorist, such as a drunk or impaired driver with no insurance, runs a red light and crashes into the Uber vehicle in which you were riding. Your lost wages and medical bills could be expensive, but Uber’s uninsured coverage would be available to cover those costs up to the limit of $1 million. Unfortunately, injuries sustained while riding in an Uber are always covered. Uber drivers are considered independent contractors. As a result, that Uber may deny claims arising from the intentional acts of its drivers, such as assaults or violence against passengers. Were You a Passenger or Driver in a Car Hit by an Uber? If you are in a vehicle that is in a crash with an Uber vehicle, it is critical to find out whether the Uber driver was working – ie. carrying a paying passenger - or driving in between fares. If the other driver had a paying passenger in the Uber vehicle, then the $1 million policy limits policy should apply. However, if the driver was off-duty or driving between pick-ups, you may be limited to the driver's personal coverage limits, along with your own coverage, as with a typical car accident. Gather information. As with any car accident, you should gather information and document the accident as best you can at the scene. This includes getting all drivers’ names, contact information, license plate numbers and insurance policy information. Report the crash to the police. You should also report the crash to the police if the car accident resulted in injury, death, or more than $500 worth of damage. If you are unsure, you should err on the side of reporting the accident to police. Report the crash to Uber or Lyft. You should also report the accident to Uber, Lyft or the ridesharing company involved. Do not allow your Uber or Lyft driver convince you to not report the crash. These companies have a system to report crashes through their applications or online. An Uber/Lyft representative will contact you to get more details about the crash. Seek medical treatment. Perhaps most important, seek prompt and professional medical care for any injuries that you sustained. Delaying medical care is not good for your injuries or for your legal case. Sometimes injuries do not appear at first to be serious but can become serious if untreated. For that reason, even if you don’t experience symptoms right away, see your doctor and explain what happened. When it comes to legal questions, you should seek a free consultation from a car accident lawyer. You can request a free copy of my book, Crash Course, on how to not wreck your accident claim in Kansas and Missouri, or you can call our Kansas City law office today at 816-203-0143. Crashes involving Uber, Lyft and ridesharing vehicles are legally more complicated than ordinary car accidents. If you have been injured by an unsafe driver in a ridesharing car crash, please contact us for free legal guidance so you do not hurt your personal injury claim. We are ready to help. Posted on 02/25/2019 What If the At-fault Driver Lies About the Car Accident? Posted on 11/14/2018 Injured in a Uber and Lyft Accidents in Kansas City? Here is what you need to know. We are so grateful to the help of this law firm and would recommend them to anyone needing a lawyer after a car accident or other injury in the Kansas City area. Paul B.
Kevin McManus helped me after a terrible car accident. He is a caring and very qualified injury lawyer. I would recommend him to anyone who needed an attorney. Linda M.